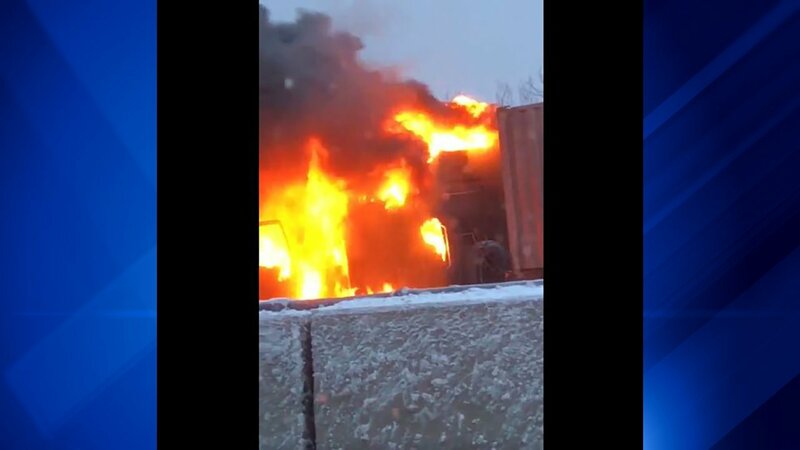 A viewer captured images of the truck fire on Monday at the River Road Toll Plaza on I-90. A truck fire briefly closed the cash lanes of eastbound Interstate 90 in the northwest suburbs during the Monday night rush hour commute, Illinois State Police said. The lanes were reopened shortly before 6 p.m. The truck was pulled through the River Road Toll Plaza and ignited on fire. The truck's intermodal container was empty. Rosemont Fire Department extinguished the fire. It was immediately unclear whether there were injuries.